Brian Cullen is a Senior Futures and Options Broker and Market Strategist with Daniels Trading. He is the publisher of The Cullen Outlook newsletter and the author of How To Guide: 10 Rules for Technical Futures Trading and How To Guide: 12+ Candlestick Formations Every Technical Trader Should Know, guides for traders looking to learn or improve their technical trading skills. “I look at the markets and analyze charts all day long. For more than 10 years, I’ve been helping clients learn how to trade the futures markets using technical analysis. To help as many as possible, I’ve distilled my approach into a program I call The Cullen Outlook. Through publications, webinars and more, I present ideas, tools and strategies and most important, a trading style. You may not scan each market sector every day looking for technical set-ups and chart formations. But I do. And I can alert you to markets and levels where I believe trades exist. I can point you to formations and set-ups that I believe deserve a closer look. I can help you see what others may miss. The Cullen Outlook has something for broker-assisted and self-directed traders alike. The Market’s Spine Guide (accompanied with a Market’s Spine six-video suite). My goal with all five components of The Cullen Outlook is simple: To arm you with the knowledge to see what the chart is telling you. And to help you acquire the confidence to trust and understand what you see, so you’re ready to take action. About Us: Creating Trusting Relationships [HD] (7/11/2013)- Watch this video to learn about the core values of Daniels Trading. You will hear from our experienced staff as they discuss the key components to a successful brokerage relationship. Broker Tip: Brian Cullen – 2 Lot Stop Order (11/25/2014)- Buying on support and/or selling against resistance are not new concepts. A strategy that Brian Cullen likes to teach is how to make your stop loss order a 2 lot when trading a buy support or sell resistance type strategy. CHART WATCH! Chart Reviews and Markets To Watch with The Cullen Outlook (6/16/2016)- Know What to Expect From Brian’s Chart Watch Webinars! 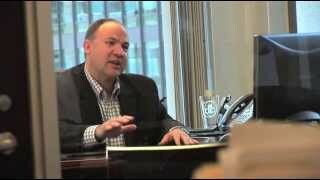 Emerging Leadership with a Culture of Trust [HD] (7/12/2013)- This video discusses the culture of Daniels Trading, a culture focused on trust. 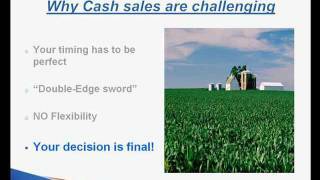 Farmland and Futures: Expiring Options (7/18/2013)- This video goes over the decision of buying and selling options, as well as trading futures. Farmland and Futures: The Benefit of Using the Futures and Options Market (7/12/2013)- Brian Cullen, a Senior Market Advisor from Daniels Trading, presents a video about the benefits of using the futures and options markets for farmers. 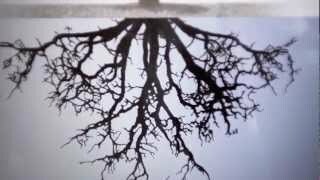 Farmland and Futures: Using “The Board” (7/12/2013)- This video discusses using the board, what it is, how it benefits you, and why you should consider using it. Flag Formations with The Cullen Outlook [HD] (6/3/2016)- Flag formations are very powerful chart set-ups. Technical traders need to be able to not only locate them as they are happening, but know what to do and how to trade them once they are pinpointed. Watch this short video that goes over the basics of getting familiar with this crucial chart formation and add it to your trading arsenal. Don’t miss any of the chart formations and trading ideas published in Brian’s newsletter, The Cullen Outlook. Sign up today. 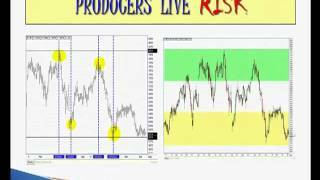 Learn Futures Technical Analysis with The Cullen Outlook [HD] (9/26/2013)- The Cullen Outlook is for those wishing to follow the moves of a technical futures trader. Look over Brian Cullen's shoulder and see how he approaches the futures markets. In this day and age, information is very easy to come by. But how much of it is worth the time to read? In addition, once you have it, how do you use it? Armed with The Cullen Outlook, you will make informed decisions and take action with confidence. 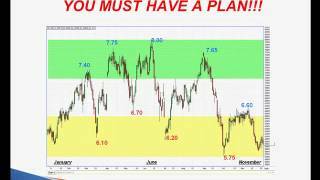 The Cullen Outlook – Trade Action VIDEO (KC Wheat) (8/31/2017)- This is a sample of Brian’s email newsletter, The Cullen Outlook. To gain access to these charts and all of the trade ideas in full the day they are released, sign up for a FREE 30 day trial today! Visit www.TheCullenOutlook.com Follow: @CullenOutlook Good Morning— December KANSAS CITY WHEAT: (KEZ7) I like BUYING KC Wheat here….Who’s with me?!? Take 5 minutes and watch… Read more. The Cullen Outlook – Trade Action VIDEO (Sugar) (3/9/2017)- I am looking at getting SHORT SUGAR but not have a hard stop in in case of some back and forth price action on the way down. The Market’s Spine Guide: 2 Most Common Layouts [HD] (9/26/2013)- There are 2 common chart layouts that most traders use. Find out which one may suit your trading style better. Join Brian Cullen, as he discusses each one in detail and explains how they differ from one another in this short 9 minute video. Whether you are a shorter term day trader or longer term position trader, both chart layouts offer their unique insight into the futures markets. The Market’s Spine Guide: Moving Averages [HD] (12/3/2013)- Moving averages are a favorite indicator used by traders of all styles. Tune in for our latest installment and see the 4 most popular moving averages and find out why Brian likes them and how he uses them throughout his day. Tune in to this 14 minute video and Brian will show you the ins and outs of trading with them on your charts. The Market’s Spine Guide: Oscillators [HD] (12/26/2013)- Markets can get overbought and oversold from time to time and retrace. It is this reversal of price action that attracts some traders to get involved. In this last video of our 6 video series, Brian discusses the powerful tools of The Oscillator. Join Brian as he breaks down the 2 most popular oscillators, the Stochastic and the Relative Strength Index in this comprehensive 10 minute video. 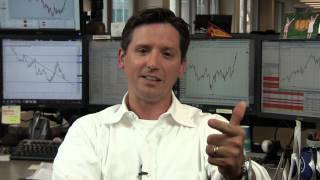 The Market’s Spine Guide: The MACD [HD] (11/27/2013)- In our last video, Brian explained Moving Averages and their value as he worked up to his favorite indicator, The MACD. Join Brian in this 5th video as he goes into further details on the MACD indicator (Moving Average Convergence Divergence). Brian will break down the convergence and divergence components in easy to understand language. He will show you why it is his favorite and how he uses it when breaking down charts for levels to monitor and for trade ideas. You won't want to miss this next installment! The Market’s Spine Guide: Trend Lines [HD] (9/26/2013)- Trend Lines are the cornerstones of technical analysis as they define support and resistance levels. Join Brian Cullen for this brief 9 minute video on his favorite indicator! See why it is the first thing he looks for when dissecting a chart. He will discuss using them to spot trading opportunities as well as potentially helping with exit strategies. The Market’s Spine Guide: Volume [HD] (10/1/2013)- Brian Cullen likes to call Volume, "The Forgotten Indicator". In this insightful 13 minute video, he discusses using volume to help define healthy trends and locate possible market reversals. Tune in for a fresh introduction to volume. Brian will show you how to apply the signals of both rising and declining volume to potentially better plan your next move. Trendline Break with The Cullen Outlook [HD] (5/18/2016)- Now that you've learned about Trendlines with Brian Cullen and why they are one of his favorite tools in his toolbox, get to know Trendline Breaks. As we all know, trendlines don’t hold forever! So how do you trade them when they “break”? What are some of the things to be on the lookout for and how do you take action when you see one? Tune in to this short video and learn how to get involved in the markets when the ever popular trendline fails! Trendlines with The Cullen Outlook [HD] (5/17/2016)- Trendlines are one of the core building blocks of technical analysis. Join Brian Cullen as he breaks down the basics of trendlines and shows you how to use them for your trading. In this short and easy to follow along with video, see how he uses trendlines to pinpoint opportunities in the markets and how they help him showcase trade ideas to those who follow him in his newsletter, The Cullen Outlook. Brian Cullen’s Article, “Seller’s Remorse: The Curse of The Cash Sale”, Featured on the INO.com Guest Blog (8/1/2012)- Let’s talk about a phrase we like to call Seller’s Remorse. You may be asking, “What is it and how does it happen?” We will answer that question in greater depth later on, but it is more important to know how it can be avoided! Seller’s Remorse is the feeling you get after making a… Read more. Brian Cullen’s Article, “Technically Speaking: Markets you should be watching RIGHT NOW!”, Featured on the INO.com Guest Blog (7/24/2012)- With the country immersed in drought conditions, the cattle markets are set in a channel/downtrend that I believe will continue into the fall season. We have already seen it play out in the grain markets with no major relief in the near future. With the modest rally that we have seen recently in the… Read more. Brian Cullen’s Article, “Technically Speaking: Markets you should be watching RIGHT NOW!”, Featured on the INO.com Guest Blog (8/28/2012)- I look to get back involved in a spread that we were involved with back in June with a positive outcome. The formation once again looks like a great spot to re-establish the trade. The fundamentals remain mixed as supplies and production appear to be on pace for the year, which has lead to… Read more. Markets to Watch Series – In these emails that are sent out during the trading day, I bring markets and levels to your attention where I believe trades exist. I pinpoint formations and set-ups that I believe should have your attention. Pre-Dawn Updates Series – Before the sun comes up, I have ideas and I want you to see them and be ready to take action! In these early morning emails you will discover a quick view of the markets that I am paying attention to over the next few days with set-ups and levels to pay attention to. Short “squeeze” in the May 2019 OJ market…well done! (3/14/2019)- See technical analysis for the the trade in the May 2019 Orange Juice (IOJ-MK19) from the Cullen Outlook. Check out the price action that has gone in our favor. “Sweet” move in the May 2019 Sugar (3/6/2019)- See technical anaysis that led to the trade in the May 2019 Sugar. Shooting Star formation in the April 2019 Platinum (2/27/2019)- See technical analysis for the Shooting Star formation in April 2019 Platinum. Check out the possible upcoming move. Head and Shoulder forming in the March 2019 Canadian Dollar? (2/21/2019)- Have a look and be ready to take action! The Cullen Outlook: Triple Top in the April 2019 Platinum – February 20, 2019 (2/20/2019)- Triple top formation spotted in April 2019 Platinum. See the technical chart levels from The Cullen Outlook. The Cullen Outlook: Reversal in the March 2019 US Dollar – February 12, 2019 (2/12/2019)- Time to TAKE ACTION on this familiar resistance? I think so! The Cullen Outlook: 50% Retracement Nails It In The Canadian Dollar! (1/22/2019)- On Tuesday the 15th we went SHORT this market at 75.60 after the 50% retracement level turned this market away. The Cullen Outlook: Finally! Silver Starting to Break Down (1/18/2019)- In a trade that seems like it has taken forever to get going, we finally might be onto something here in March 2019 Silver. The RSI NAILED IT!!! The Cullen Outlook: Overnight Session Gets Us Going in March Cocoa! (1/15/2019)- Time to reward the market and move some stops...or take profits if satisfied. Well done to all those participating!! CHART WATCH! Chart Reviews and Markets To Watch with The Cullen Outlook (10/16/2015)- You are invited to join Brian Cullen, Senior Futures and Options Broker and author of The Cullen Outlook and Pre-Dawn Updates, as he breaks down his approach to reading charts and trading technically. Technical Analysis 101 – Learn the Basics of Chart Analysis to Help Your Trading (11/23/2012)- Discover the basics of technical analysis during this highly informative webinar. Learn common chart patterns and the market moves they predict. Mini-POWER! Discover the benefits of smaller contracts and why they have become more popular. (7/8/2011)- Attend this webinar to gain valuable insight into the increasingly popular mini-contracts. Discover what they are, contract sizes and how/when they can be used to potentially benefit your trading. Technical Analysis SIMPLIFIED – Learn the Basics of Chart Analysis (4/5/2011)- Discover the basics of technical analysis during this highly informative webinar. Learn common chart patterns and the market moves they predict. Technical Analysis SIMPLIFIED: 3 Webinars in 1 – A Fast Track Technical Primer (10/18/2010)- Brian will cover critical ground in a short time without skimping on the details. You'll learn the required chart patterns and set ups every technical trader should know and understand to identify major breakouts, reversals and trends. Technical Analysis: SIMPLIFIED (6/9/2010)- You've seen the many features in our Technical Analysis SIMPLIFIED series. Now seasoned technician Brian Cullen has consolidated his other presentations into a Fast Track Technical Primer. Technical Analysis SIMPLIFIED: INDICATORS- EMAs, RSI, MACD, OSC and Fibonacci (4/7/2010)- Join us as we take a look at some of the most popular chart indicators. We will look at Moving Averages, Oscillators, MACD, Relative Strength Index and Fibonacci. Technical Analysis SIMPLIFIED: INDICATORS- EMAs, RSI, MACD, OSC and Fibonacci (3/24/2010)- Join us as we take a look at some of the most popular chart indicators. We will look at Moving Averages, Oscillators, MACD, Relative Strength Index and Fibonacci. After this presentation, you will understand these important indicators and how to use them. Register now for immediate access. Simply complete the short form, and we’ll provide… Read more. Technical Analysis SIMPLIFIED: Chart Patterns – Triangles, Flags & Wedges (3/18/2010)- Gain comfort and confidence as charts transform from random to identifiable patterns. Technical Analysis SIMPLIFIED: INDICATORS- EMAs, RSI, MACD, OSC and Fibonacci (3/10/2010)- Join us as we take a look at some of the most popular chart indicators. We will look at Moving Averages, Oscillators, MACD, Relative Strength Index and Fibonacci. Please complete the form below. The fields marked with an (*) are required.